14274.pdf - Pages: 288 - 14274 Dental Technician, Volume 1 - This course addresses the following subjects: general administration and orientation; technical administration and responsibilities; head and neck anatomy; oral anatomy and pathology; emergency treatment for oral diseases and injuries; oral pharmacology; nutrition and diet; infection control; sterilization and infection; dental safety and equipment safety; shipboard, fleet marine force, and naval mobile construction; casualty care and CBR warfare. 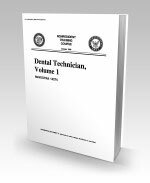 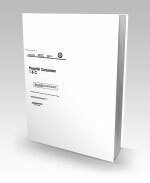 14275.pdf - Pages: 304 - 14275 Dental Technician, Volume 2 - This course addresses the following subjects: dental radiology and examinations; preventive and operative dentistry; oral surgery; periodontal, endodontic, and prosthodontic assistance; dental treatment room emergencies, and forensic dentistry. 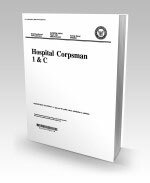 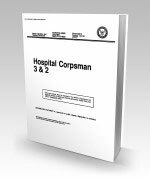 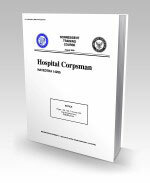 14295.pdf - Pages: 584 - 14295 Hospital Corpsman - Covers anatomy and physiology; fundamentals of patient care; first aid equipment, supplies, rescue, and transportation; emergency medical care procedures; poisoning; drug abuse, and hazardous material exposure; pharmacy and toxicology; clinical laboratory; medical aspects of chemical, biological, and radiological warfare; diet and nutrition; emergency dental care; preventive medicine; physical examinations; health records; supply; administration; healthcare administration; and decedent affairs.